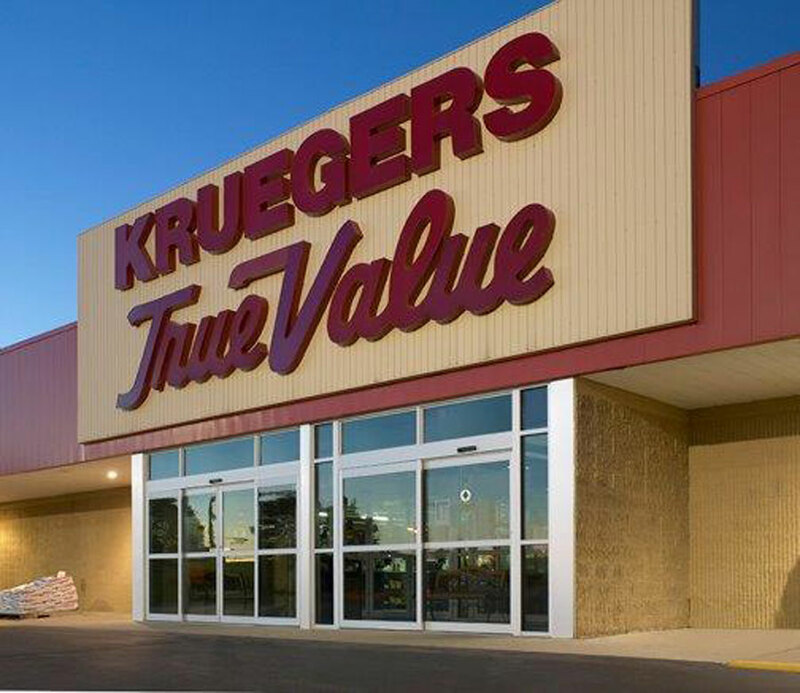 Krueger's True Value in Neenah, Wisconsin, is a sixth generation independent hardware dealer established in 1866. Jim Webb, Jr. and Brian Webb own and operate the company and are direct descendants of William Krueger, who founded the company one year after the Civil War. Krueger's was a charter member of the Wisconsin Retail Hardware Association and has enjoyed its long relationship with the now Midwest Hardware Association. Henry Krueger, James Webb, Sr., and Brian Webb have served on the association's board of directors and served as President. Krueger's joined Cotter & Company, the hardware cooperative now known as True Value Company in 1951 and Brian Webb currently serves on its board of directors. Krueger's True Value features a full line of home improvement products including hardware, building materials, hand & power tools, lawn and garden, plumbing, electrical, paint, rental, and much, much more. Featured brands include True Value and Benjamin Moore paint, Toro power equipment, Echo lawn care equipment, Milwaukee power tools, Carhartt clothing, and more! Krueger's also has factory trained technicians for the repair of power equipment and small engines.